Prices in Singapore’s high-end residential property segment looks set to surge further as market sentiments continue to look increasingly optimistic. Market watchers have mentioned that the launch of New Futura by City Developments Ltd have given a clear indication of buyers’ confidence in the luxury property segment as 34 units (out of the 124 units available) have been sold at a median psf price of $3,200. They believe that the momentum is likely to sustain in the upcoming luxury new launch projects. Other than New Futura, many other units in luxury condominiums have also been transacted at more than the $3,000 psf mark. One of them is a 4-bedroom unit (3,466 square feet) at Nassim Park Residences – which changed hands for a whopping $12 million (or $3,462 psf) in January 2018. In the meantime, one of the 3-bedroom units (2,831 square feet) at Ritz-Carlton Residences – located along Cairnhill Road have fetched a staggering $9 million (or $3,179 psf) and a 4-bedroom unit (3,057 square feet) have also changed hands for roughly $11.5 million (or $3,755 psf). It was noted that such price points are not only trending in the traditional prime District 9, 10 & 11 of Singapore but also surfacing in the core Central Business District (CBD) and the Marina Bay precinct. For instance, a 3-bedroom unit (1,528 square feet) at Marina One Residences – a 1,042-unit high-end mixed development situated in the heart of Marina Bay, has been sold for a whopping $4.59 million (or $3,004 psf). This is, in fact, the 2nd unit which was sold at more than $3,000 psf. Before this, the last unit at Marina One Residences was a 4-bedroom (or 2,250 square feet) sold at $7.1 million or $3,157 psf. 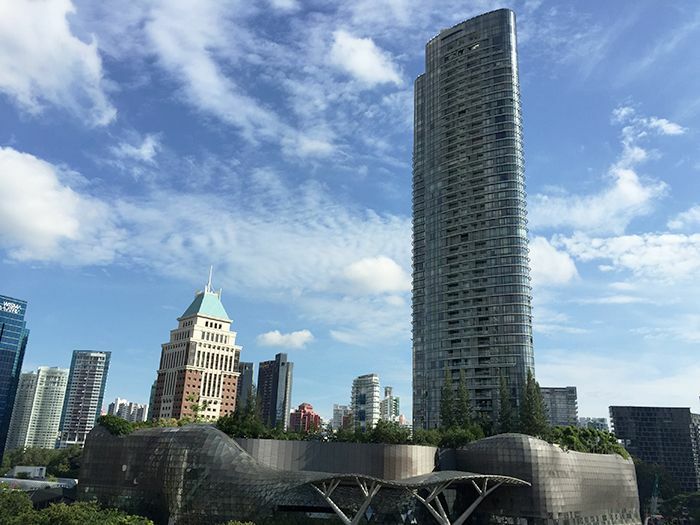 While the luxury properties in Singapore experience a surge in both prices and transaction volume, market watchers believe that high net-worth investors will still continue to remain cautious with more residential projects launching later in the year.